Wayne Dillon Parnell (born 30 July 1989 Port Elizabeth, Cape Province, South Africa ) is a cricketer who plays Tests, One Day International and Twenty20 matches for South Africa. At domestic level he plays for the Warriors having previously represented Eastern Province, he has also played county cricket for Kent. In 2010, Parnell was signed by the Delhi Daredevils for the 2010 Indian Premier League, in 2011 he joined the Pune Warriors India. 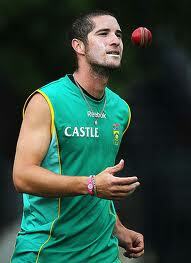 During the IPL 2014 Auction he was bought by the Delhi Daredevils for INR 10,00,00,000. 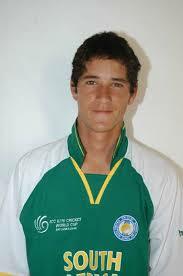 Parnell matriculated from Grey High School, Port Elizabeth, South Africa in 2007. He is currently studying Human Resource Management at Nelson Mandela Metropolitan University in Port Elizabeth, South Africa (2009).